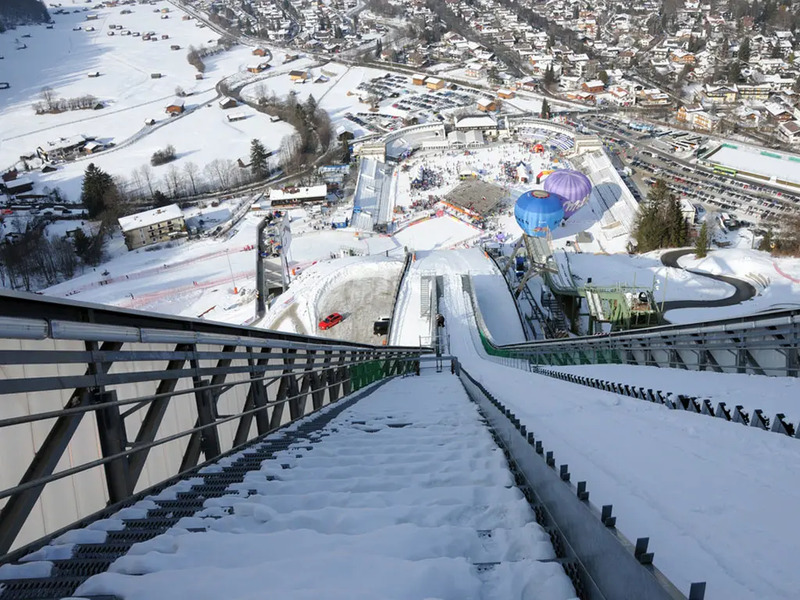 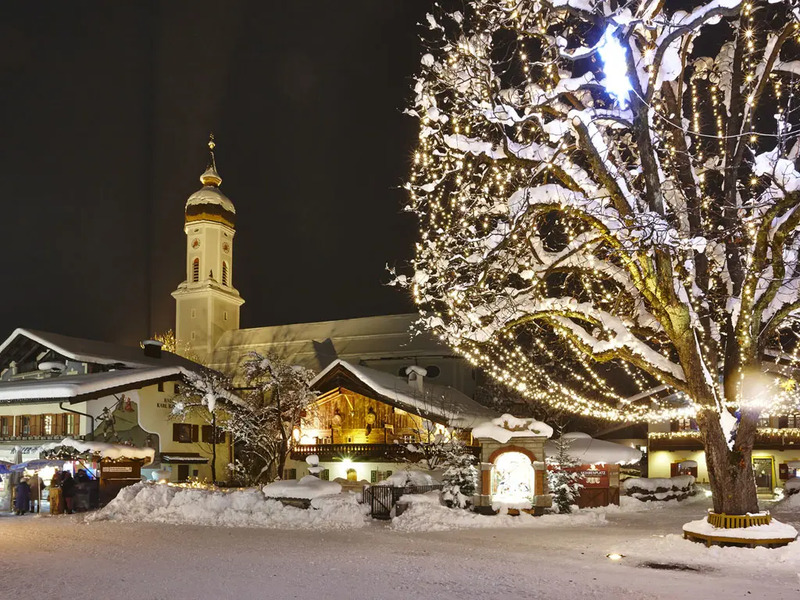 The ski resort of Garmisch-Partenkirchen is particularly known for its Olympic Winter Games back in 1936 and the ski jump activities held on New Year’s Day each winter. 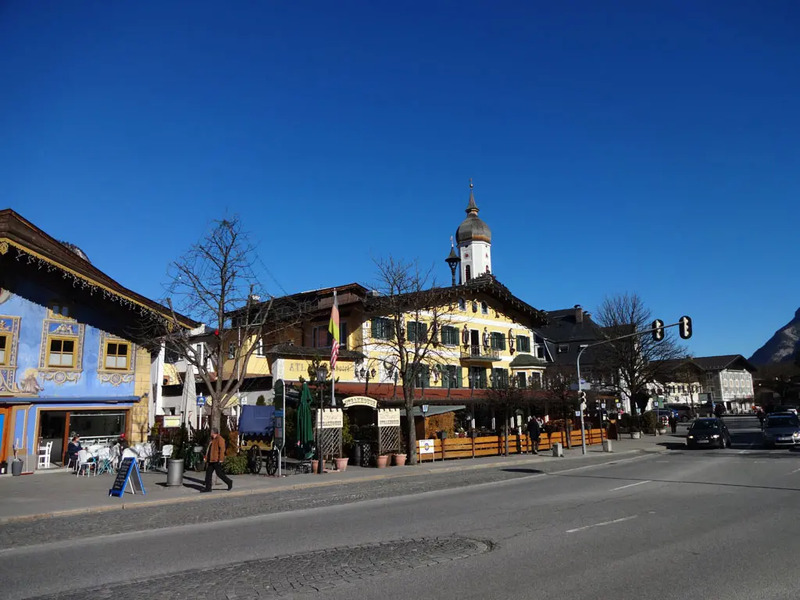 Besides this it is also a beautiful city with a real urban feel because of the theatres, concert halls, cinemas and its casino. 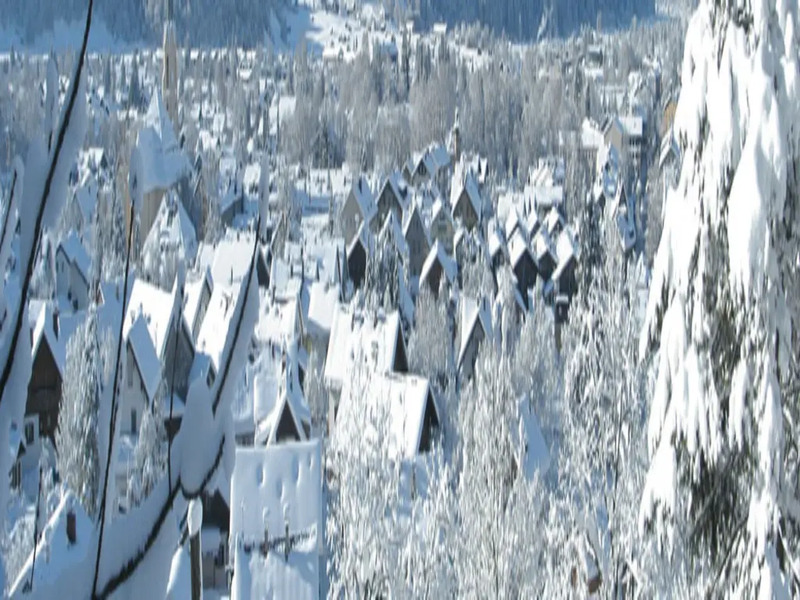 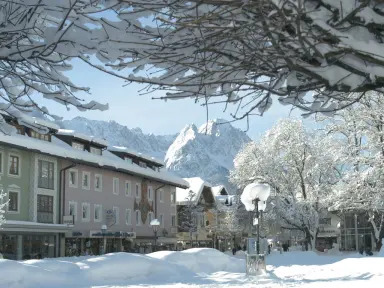 Garmisch-Partenkirchen has always been a health resort where conferences are held on a regular basis. 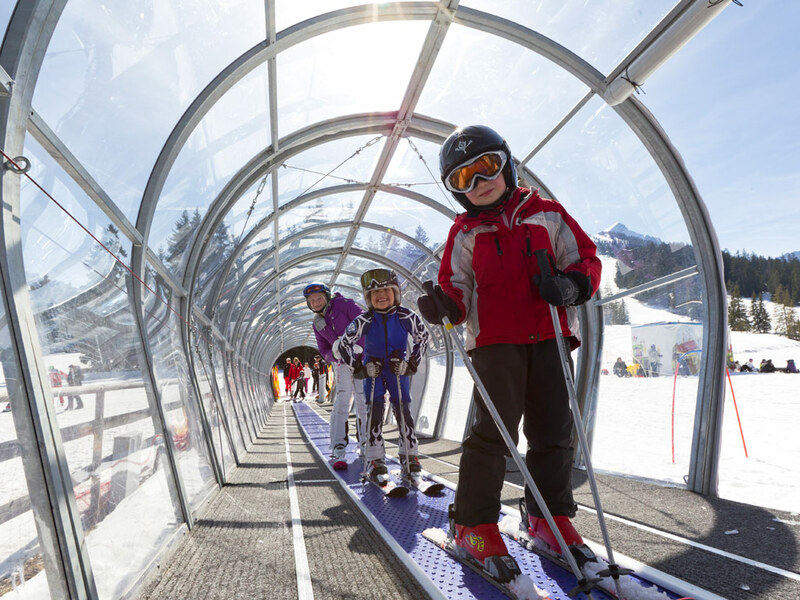 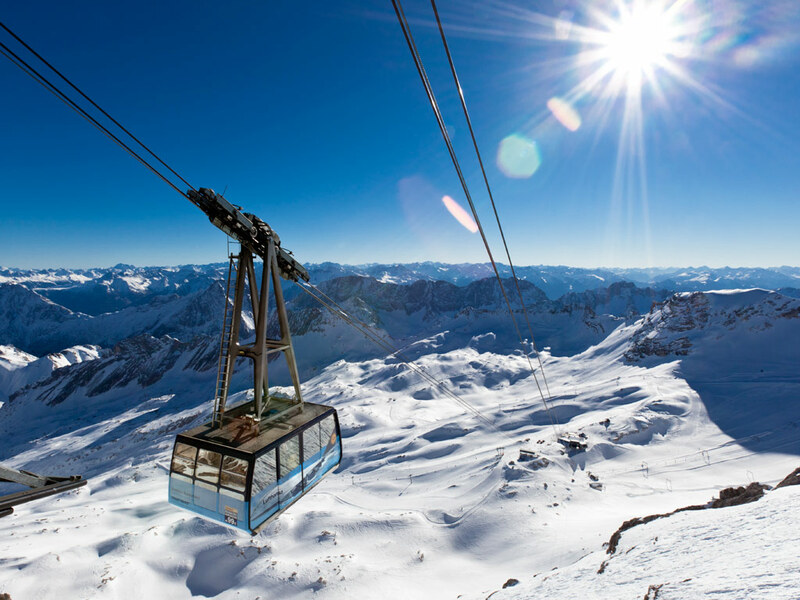 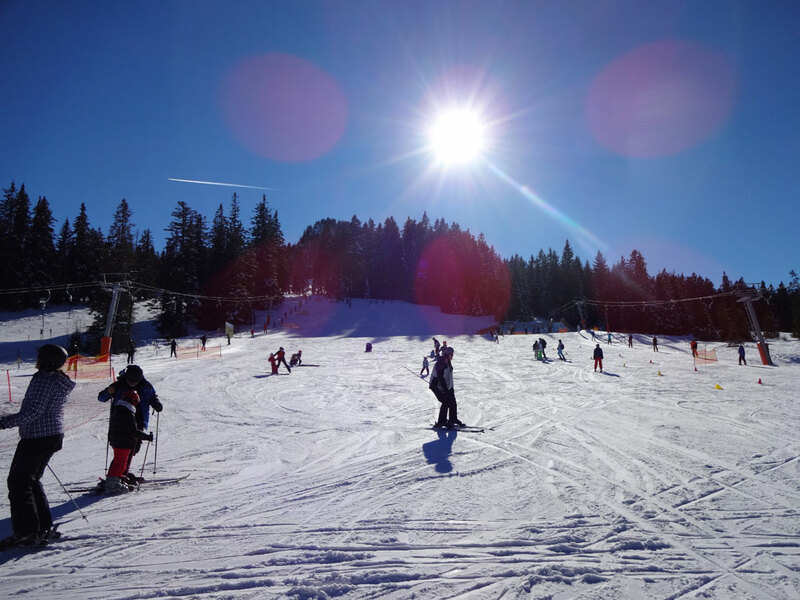 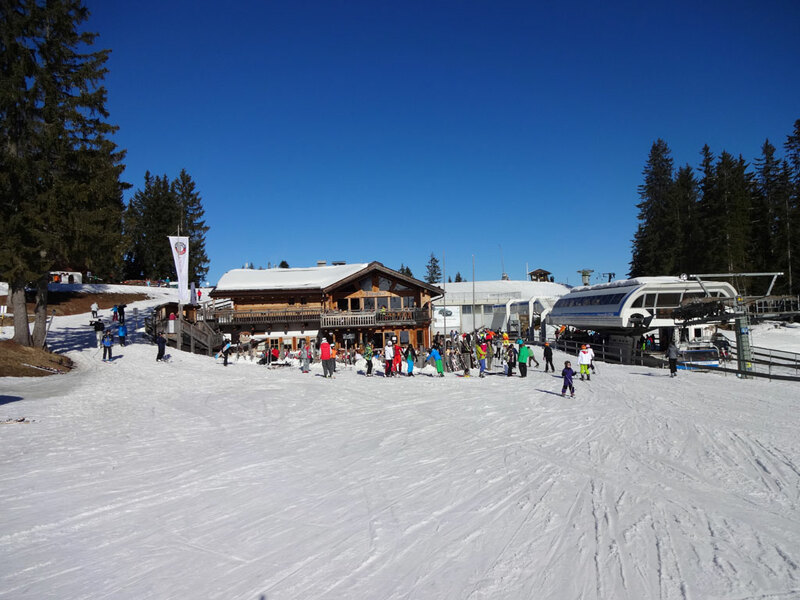 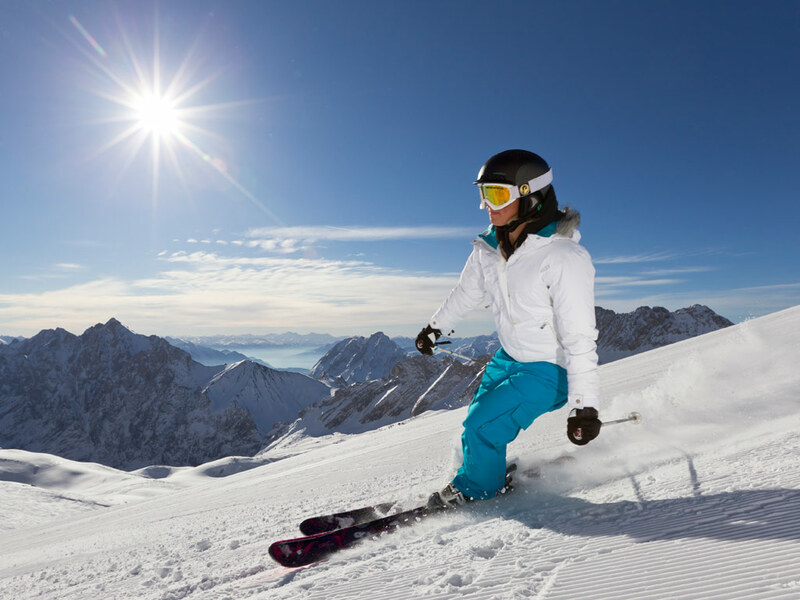 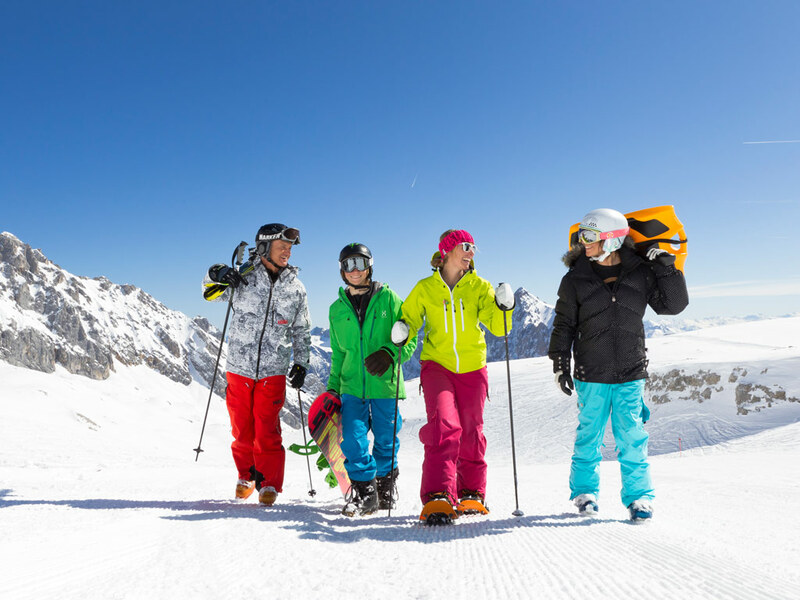 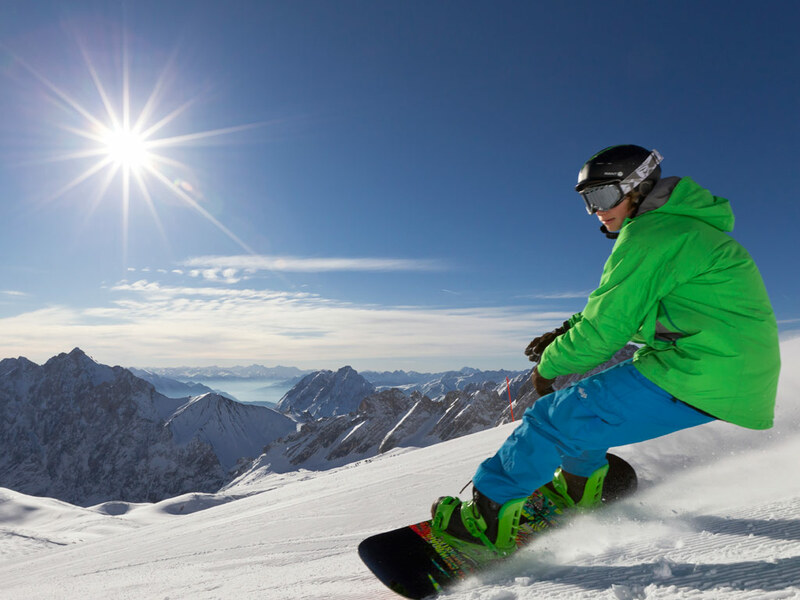 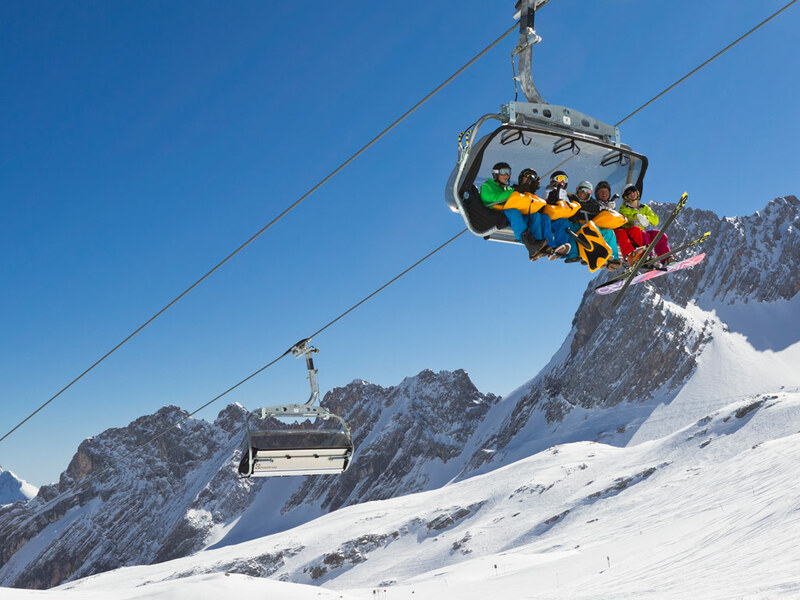 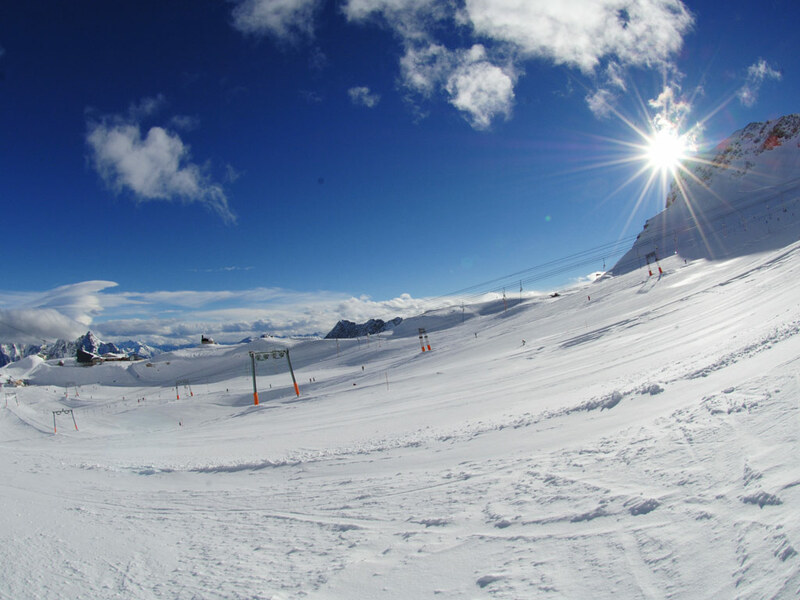 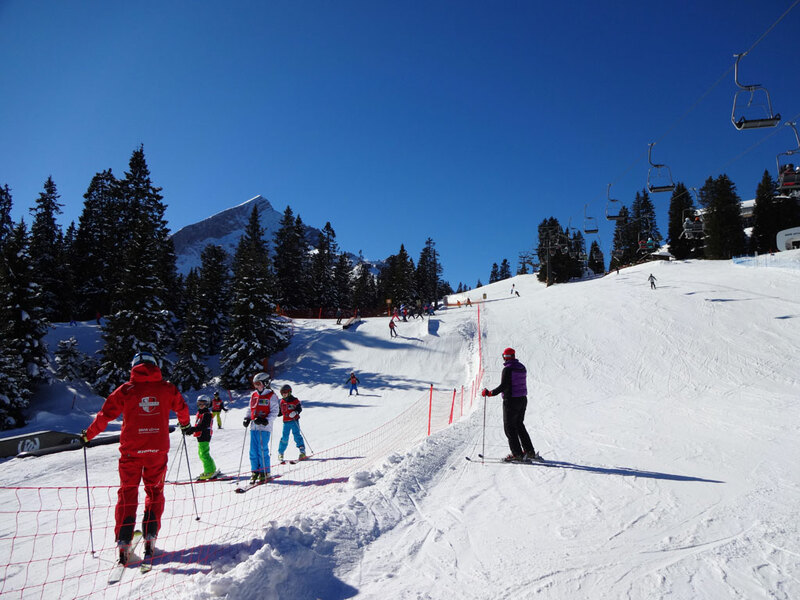 Ski holidays in Garmisch are packed with activities for the whole family. 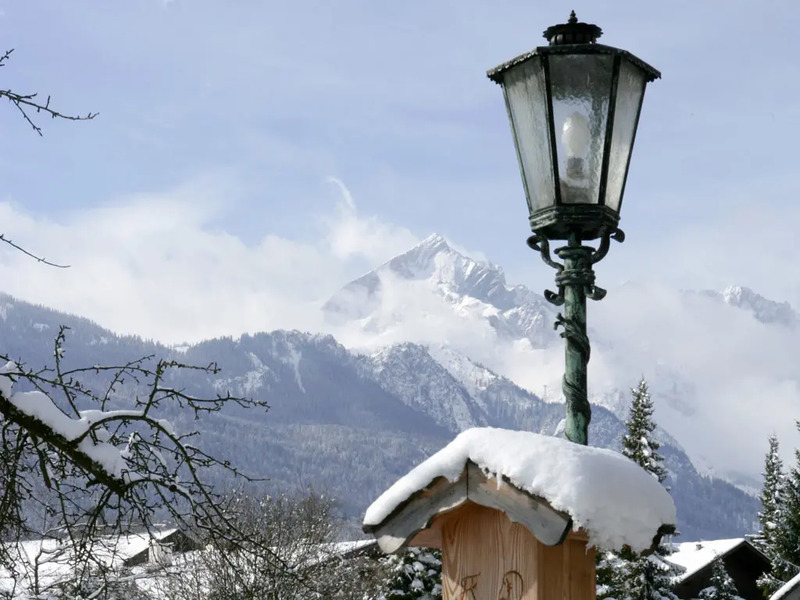 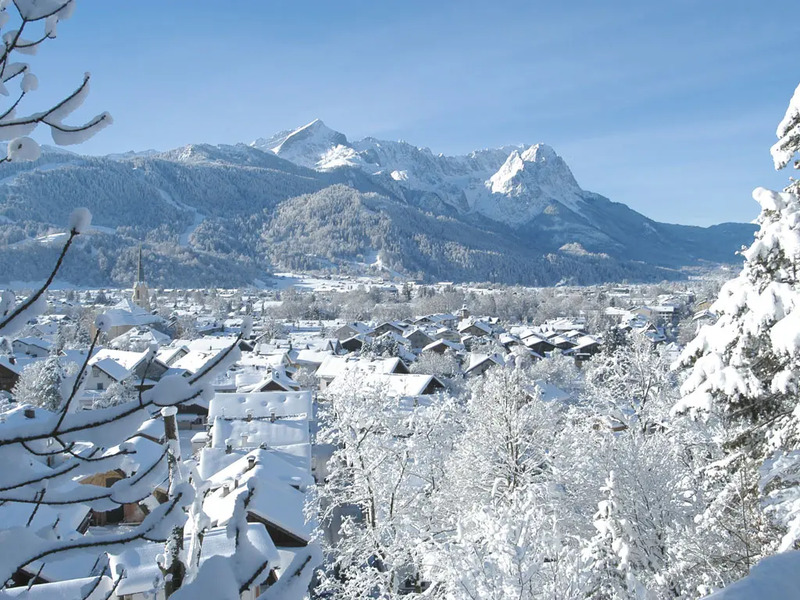 Garmisch-Partenkirchen is a lively mountain city with four ski areas in the vicinity, including the glacier ski area on the German-Austrian Zugspitze where snow is guaranteed. 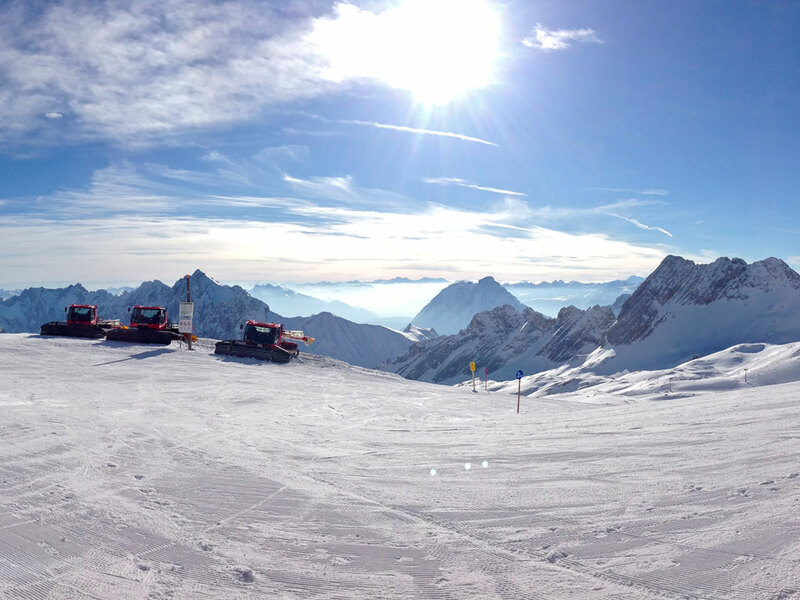 Here you can ski on the highest mountain in Germany, the Zugspitze (2,962 m). 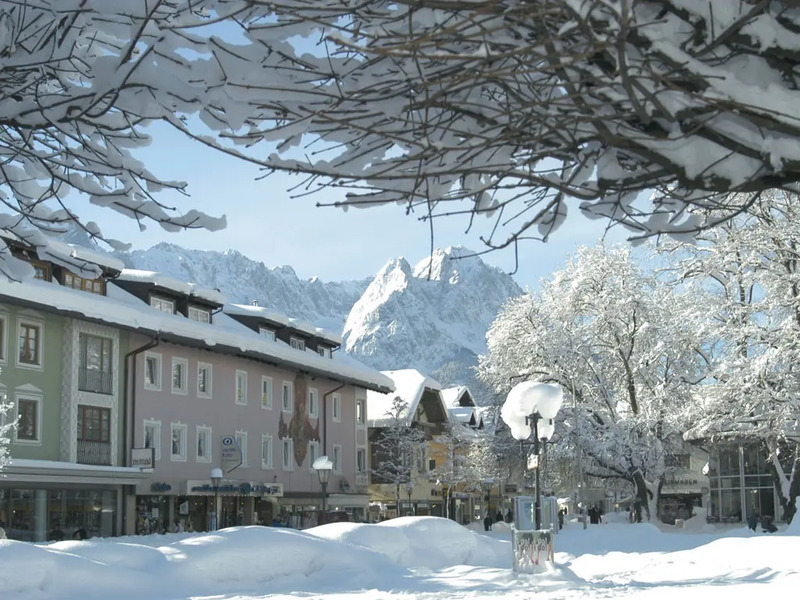 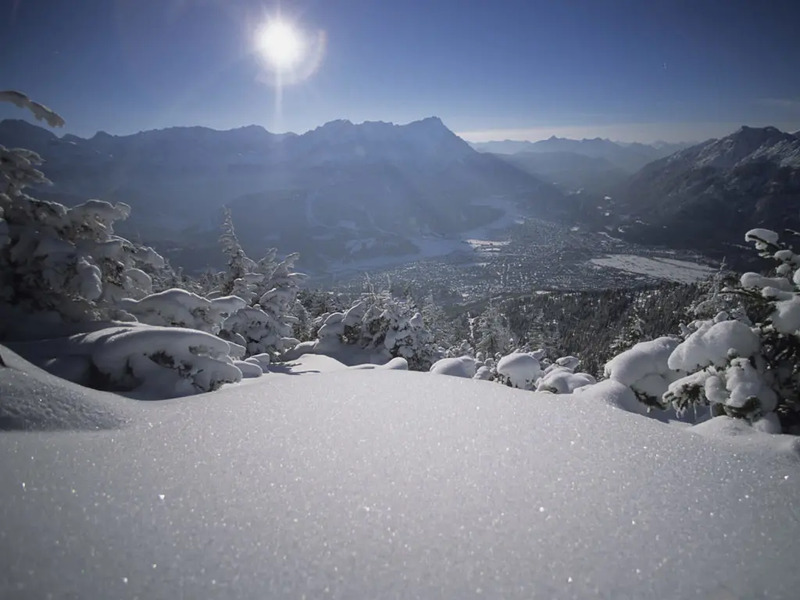 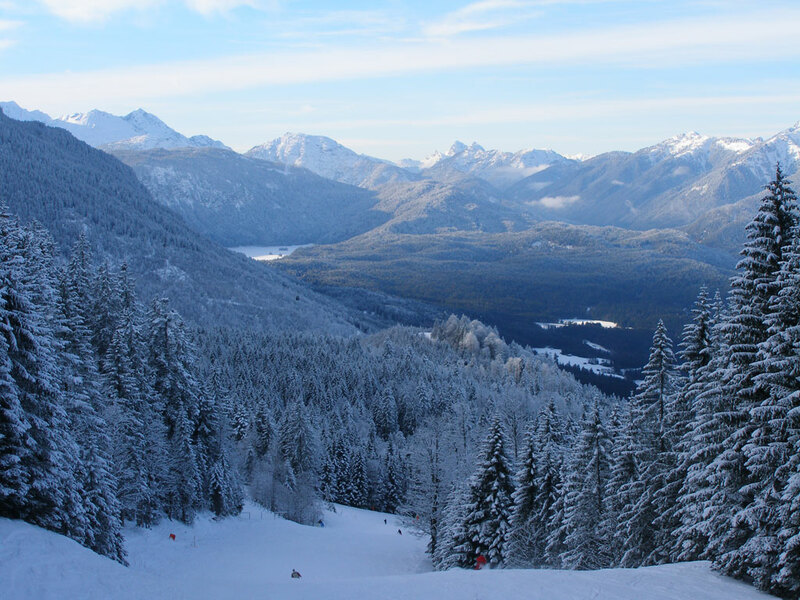 Garmisch-Partenkirchen itself has direct access to two large and varied ski areas with around 60 kilometers of ski slopes and a large snow park. 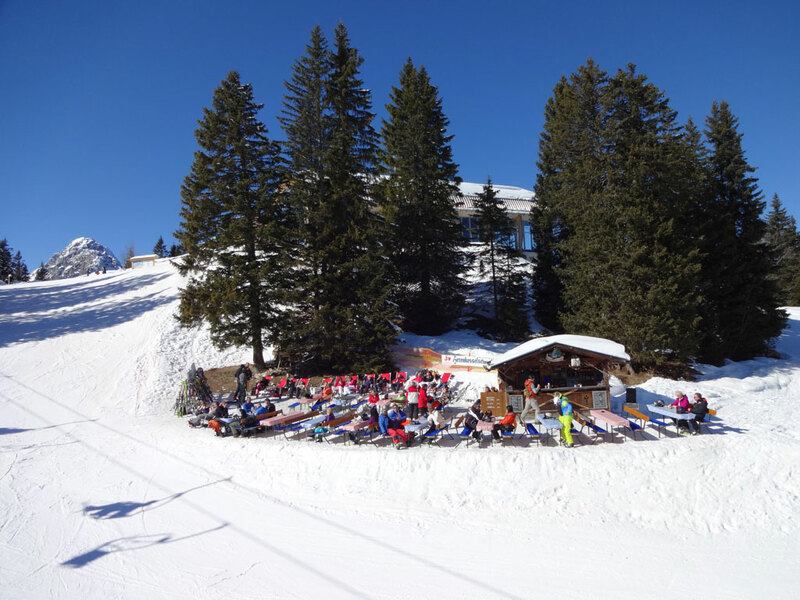 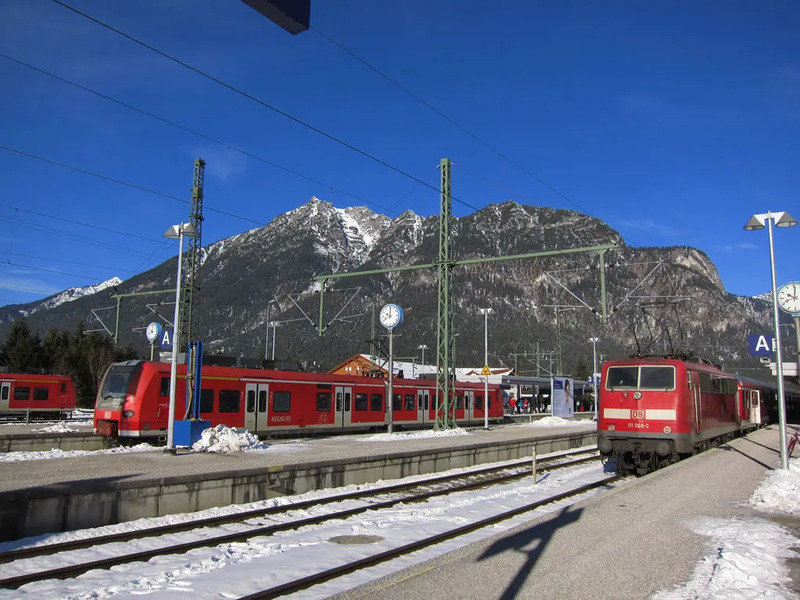 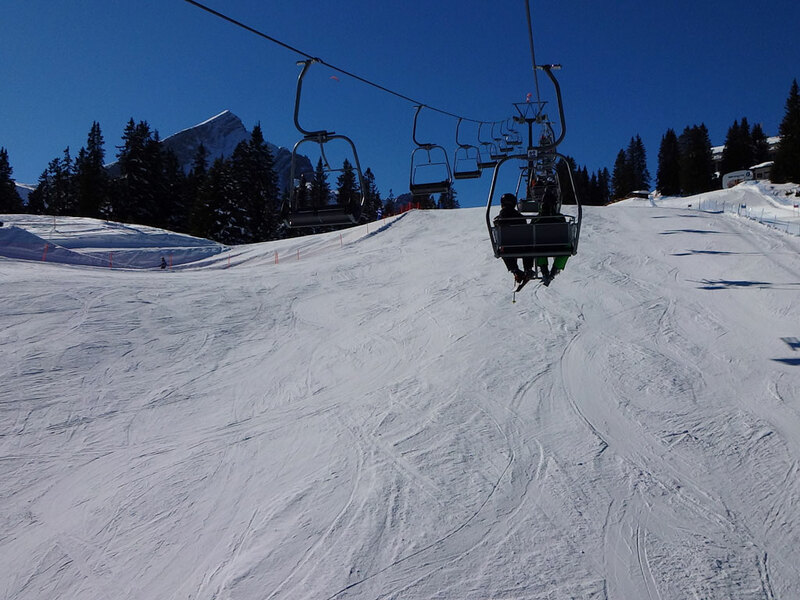 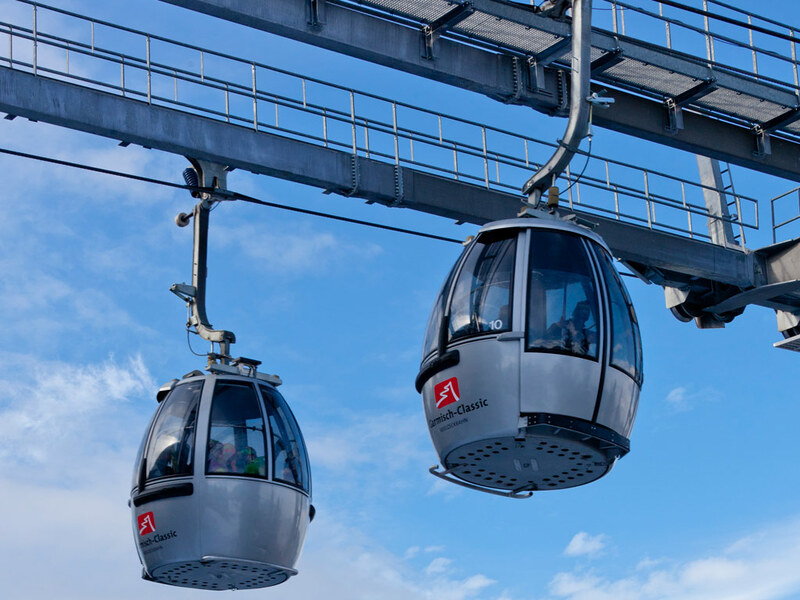 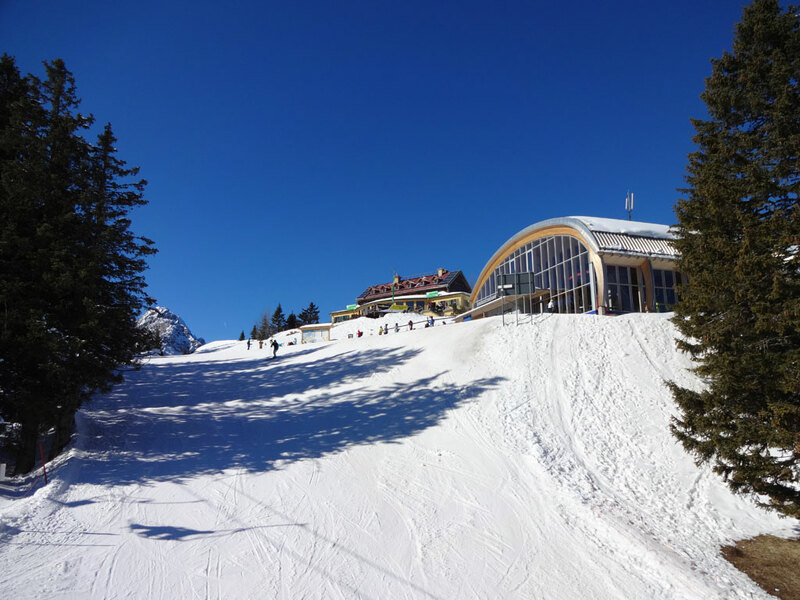 With the local mountain railway, you can reach the Garmisch-Classic ski area where you will find long, wide and challenging tree-lined pistes through the woods. 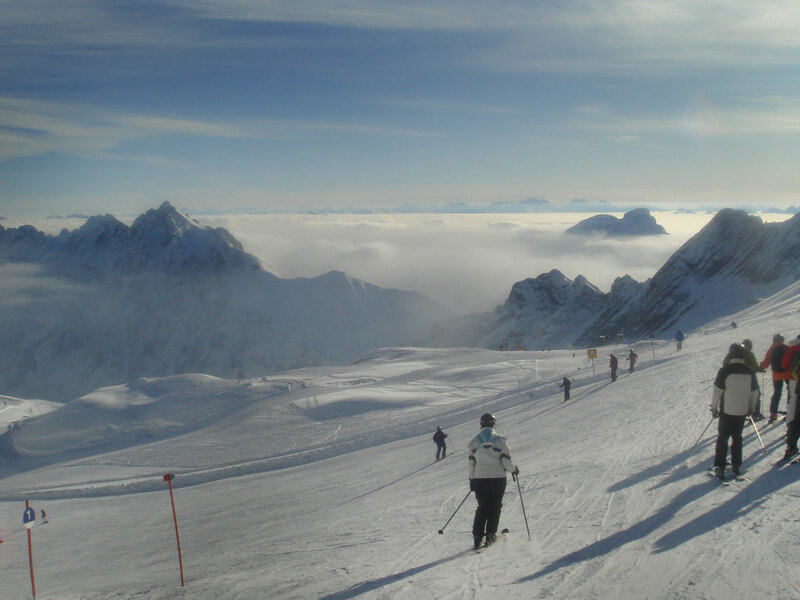 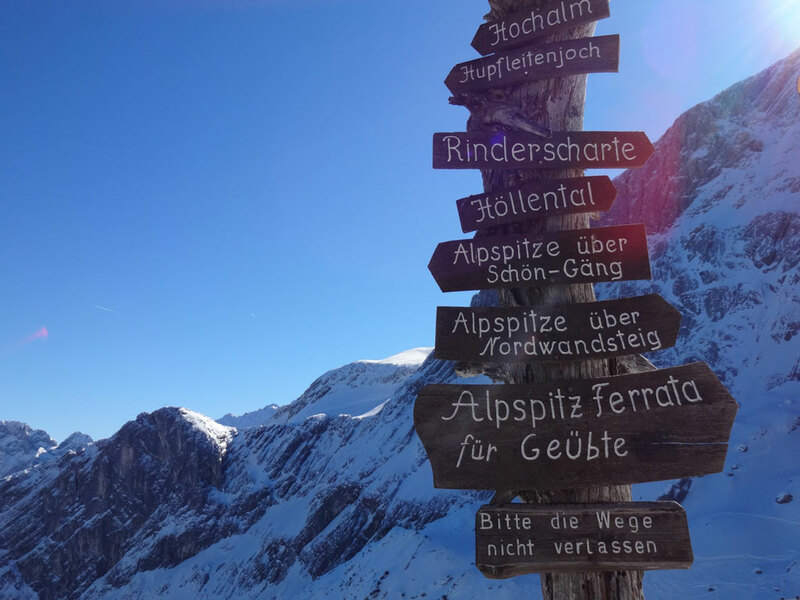 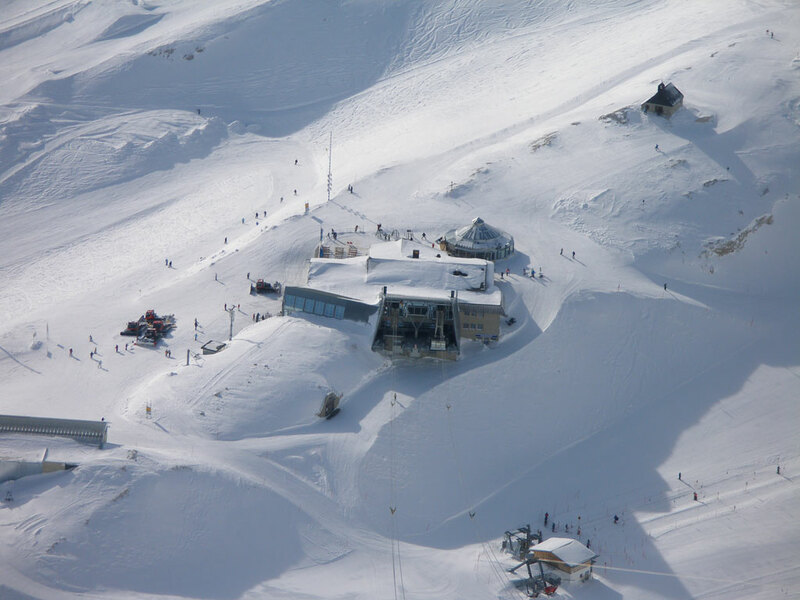 In the second ski area on the Zugspitze, you will find a wonderful ski area with excellent snow conditions thanks to the glacier.